The Best Places to Retire- an essential part of retirement planning and living. Where Are The Best Retirement Locations For You? This section includes many interesting and desirable best places to retire around the world, not forgetting that your retirement happiness might be found in your own backyard! It’s important to consider the locations that best suit your temperament and personality, and match the interest of those who will travel with you. My first story deals with this aspect of retirement planning. My late father in law was born in 1909, and lived to be 92. He was a farmer, poet and storyteller. 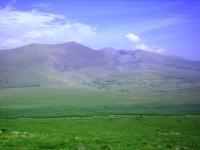 He lived all of his life in Killarney, County Kerry, Ireland. I love them from my heart. From them I'll never part. Glenflesk so sweet and fair." I remember one Sunday morning driving him from the Church in Glenflesk to his home in Carrigeen. It was the month of May and the beautiful sunshine held the promise of a good summer. We weren't talking much, and I became aware of how beautiful the countryside looked. He must have been thinking something similar, because suddenly he waved his hand to indicate the vista in front of us and said, "You know Greg, I think this must be the loveliest stretch of road in the world". It was wonderful to see a person so content in his own place, and if I were his coach, he would never have had to discuss his options on the best retirement locations! I remember another day driving in the same area with my daughter, who was then, aged five. 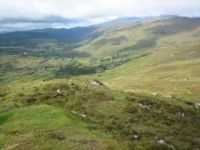 We were descending from the Derrynasagart Mountains into the Vale of Glenflesk. I was thinking to myself how idyllic it would be to live in such a place. The lightly wooded hillside of this sparsely populated countryside looked dramatically beautiful. My thoughts were interrupted by a little voice from the back saying, "I would hate to live in a place like this"! "There are no shops, you would have few friend and would have to travel miles to meet them, no cinema, and probably poor mobile phone reception!" The difference in perception between the grandad and the young child wasn't solely attributable to their age. You see my daughter has an extraverted personality and is energized by the company of other people. She is outgoing, talkative and needs relationships. My father in law had a preference for introversion. He was selectively sociable, but he also needed privacy and would be energized by his inner resources and would enjoy quiet reflective times. These preferences are based on the work of Carl Young, a Swiss psychologist, and have been popularized by Myers-Briggs via the MBTI psychometric instrument. As a retirement and life coach, I am qualified to administer this instrument. Are you curious to know the 10 Best Places to Retire? Read what Forbes suggest, using the criteria of- Quality of life, Cost of living, Medical care, Safety, Friendliness of the locals, Culture, Ease of getting a visa and returning home to visit family, Shopping and Business. Figuring out where to retire is never easy - and sometimes the answer is closer than you think. You might find your happiness lies right under your eyes back in your own backyard! Read my Retire Abroad Checklist to take into account not just where to Retire, but whether Retiring Abroad is the right thing for you. Evaluating the best places to retire is an essential part of retirement planning. You may find find it helpful to discuss this aspect of your retirement wishes with a Life or Retirement Coach. Jim Andrew has lived in Tuscany for over 20 years, and is well qualified to discuss the merits of Tuscany as a retirement destination. He also provides some informative ideas on the pros and cons of retiring abroad.